Monday 19th May 2014 – 6.40pm – Murray MacGregor. One of the busiest dual carriageways in the region was shut to allow an air ambulance to land so that a man injured in a road traffic collision could be airlifted to a major trauma centre. Two ambulances, a paramedic officer and the Warwickshire and Northamptonshire Air Ambulance were sent to the scene. A community first responder who was driving by also stopped to offer assistance. A West Midlands Ambulance Service spokesman said: “On arrival, crews found two vans that had been in collision. 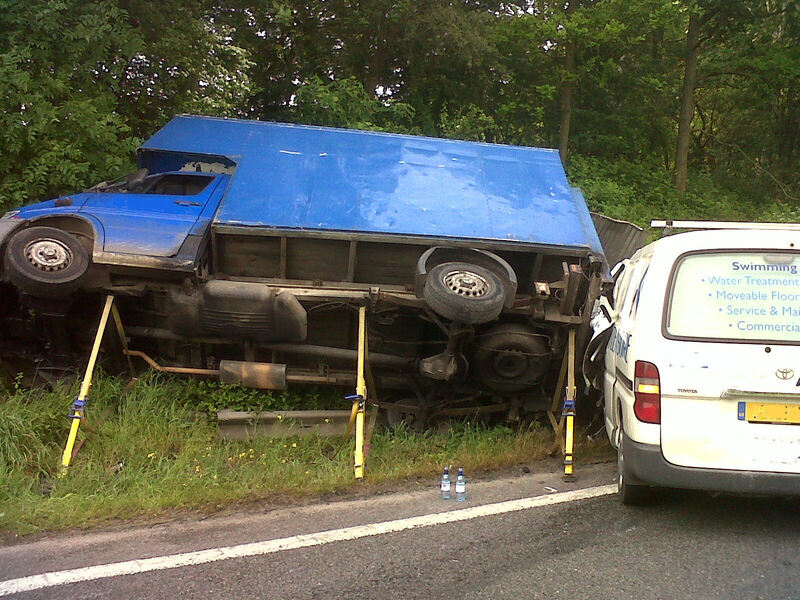 A blue ‘Luton’ van had rear end damage and was leaning over at an angle. A smaller white van had significant front end damage. 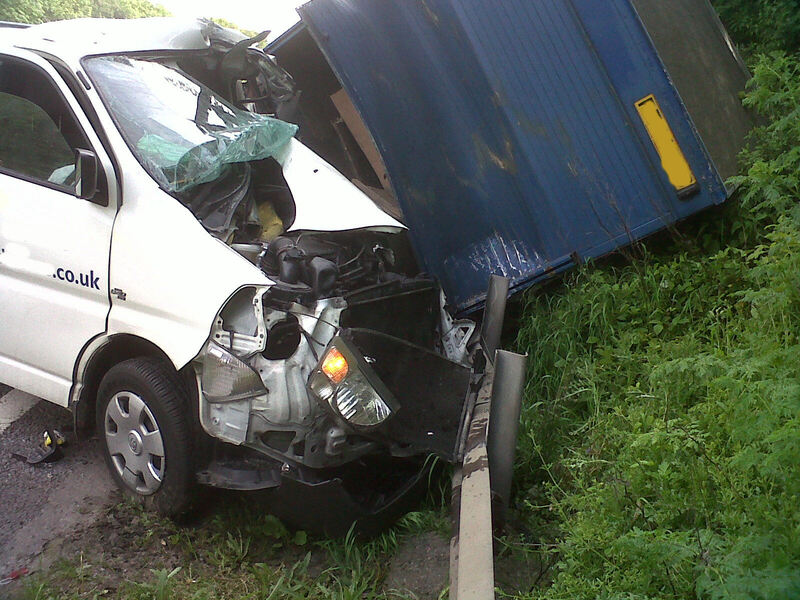 “The driver of the blue van was lying near the wreckage. The 43 year old had suffered potentially serious head injuries. Initial calls suggested that he had been unconscious for a period of time but had come round. “In addition, he had facial, neck and back injuries. His condition was stabilised at the scene and was immobilised before being airlifted to University Hospital Coventry and Warwickshire where medics were on standby for his arrival. “The driver of the white van, a 46-year-old man, was treated for a minor arm injury before being taken to the same hospital.